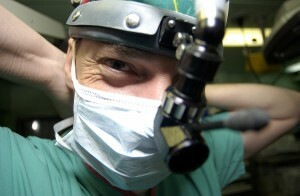 There are several oral surgeons in San Francisco, but how do you find the best? If you are in need of any form of oral surgery it is patently obvious that you would wish to have it carried out by the BEST oral surgeon in SF. The problem is that if you are a lay person – which you almost certainly are – what are the criteria that you would use to define the BEST oral surgeon? We believe that there are three things that define the BEST oral surgeon in SF and these are – in no particular order – a) one who LISTENS to his patient, b) who works on a personalized surgery plan that fits the needs of the “whole patient”, and c) who will accept payment from a very wide of insurance companies so that, as the patient, the last thing that you need to worry about is how to pay for the surgery. Notwithstanding the fact that that Dr Rabinovich is not the most expensive oral surgeon in San Francisco, it is nonetheless true that oral surgery is never a “cheap” procedure, so if it can be covered by your insurance it is far better than if you have to pay out of your own pocket or put it on a credit card where there is going to be a considerable amount of interest charged by the credit card company. So how does Dr Rabinovich measure up to these three standards? To begin with, he is a firm believer in listening to his patient’s requirements. Certainly, oral surgery is very different from having an addition built on to your home but the simple fact is that if you wanted an addition you would expect the contractor to listen to your EXACT requirements rather than just tell you that “Well, we build them this way”. If you want a door here, or a window there, then that is what you want, and you wouldn’t employ the contractor if he was not going to listen to what you require. The same thing, precisely, occurs when you need oral surgery. Dr Rabinovich will listen to your needs and then explain what he can do. If, for some unlikely reason, you are not happy with his suggestions then he would never expect your business. For the very same reasons he will tailor a procedure that fits your needs. No two patients are ever the same, or have the same needs (in exactly the same way that no two homeowners wanting an addition wouldn’t) so he will produce a personalized surgery plan that insures you get what you need and want. Finally, there is the matter of cost. There are a limited number of oral surgeons in San Francisco and unfortunately some of them do not accept insurance, or if they do will only accept a handful of insurers. On the contrary, Dr Rabinovich accepts payment from nearly 40 insurance companies including all of the ones mostly used by local employers. That means that it is very likely that your surgery is covered by your insurance. However, if by some chance it is one of the few policies that he does not accept (nobody can accept every policy) he also offers an extremely wide choice of financial options, one of which is almost certain to fit your circumstances to a “T” as they say. So there you have it. A doctor who listens to you, tailors your surgery to fit you – the unique individual that you are, and makes paying for the surgery the least of your worries. What more could you want? Oh, something more? How about a totally FREE consult with no obligation just so that you can be sure that Dr Rabinovich is the BEST oral surgeon in SF? Yes, you’ve got that too. Click on the Contact Us link at the top of the page, email us at info@doctorrabinovich.com, or call the office on (415) 817-9991 to book your free appointment.